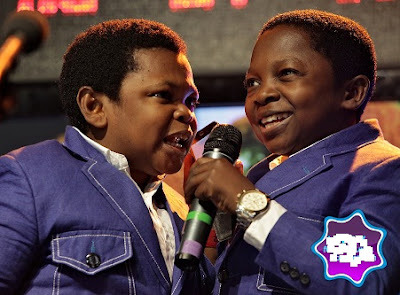 Few days ago, rumour peddlers took to their heels to spread the false news of a serious car accident involving comic Nigerian actors Chinedu Ikedieze alias Aki and his buddy Osita Iheme aka Pawpaw. The online report that travelled as far as Uganda claims that the talented comedians are currently clinging to life at local hospital after their car crashed enroute a movie set in Niger State. The story started from a Facebook page with handle Bukky Wright. Within minutes of the report, the story went viral on both Twitter and Facebook with concerned fans saying their prayers left right and center. On Monday Osita Iheme took to his Twitter page to debunk the rumour. Na wa o.. Lie lie people dey plenty for net. When writting the story of your life, don’t let another persom hold the pen. We should not always pray that someone should die. I thank God for those two guys. Don’t say what you do not see. Hie ..I and my grandmother loves you so much ..Pliz call me +263779770294. we would want to thank you for everything you’ve done . Thanks God if you are still alive.my heart was so broken with peaces.